A Vermont House committee today takes up legislation that would ban driving on flooded roadways and allow cities and towns to charge drivers when they do so and need to be rescued. 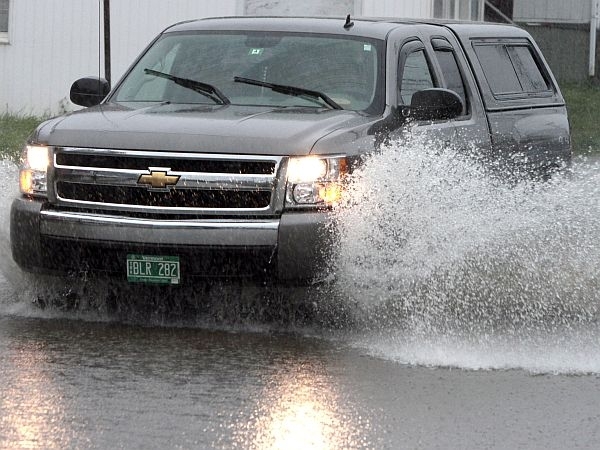 Vermont police agencies routinely warn people during floods not to drive through standing water, partly because it may be hiding a washed-out road. But too-frequent instances of such behavior by drivers have prompted the legislation. The bill would define a roadway as flooded if it had more than four inches of standing water. The measurement would not apply to potholes.